Leading local Derby design agency threeguru will be sleeping rough on the 9th March for the 2018 YMCA Derbyshire Sleep Easy Event. The threeguru team are looking to raise awareness and funding to help keep Derbyshire’s most vulnerable young people safe. YMCA Sleep Easy is a national event that takes place at YMCA’s all over the country, with last year’s Derbyshire event raising a staggering £37,000 from 115 people volunteering to sleep rough. Through their annual challenge, YMCA Derbyshire gains valuable awareness for the hundreds of people who sleep rough in Derbyshire, ultimately raising the crucial funds to help them continue to support residents and young people in need of their services. Six gurus will be challenging themselves to brave the brisk March night, armed with only a cardboard box as shelter, at the Derbyshire County Cricket Ground with the knowledge that one night can make a lifetime of difference. “Being Safe and Secure. Having a roof over my head.” These are words that we all take for granted every day, but the reality is that some young people of our city do not have these privileges. They find themselves without a home, support and face day to day challenges alone. YMCA Derbyshire can provide support and accommodation to these young people, moving many of them onto independent living, training, education and or employment within the first 12 months of living with them. 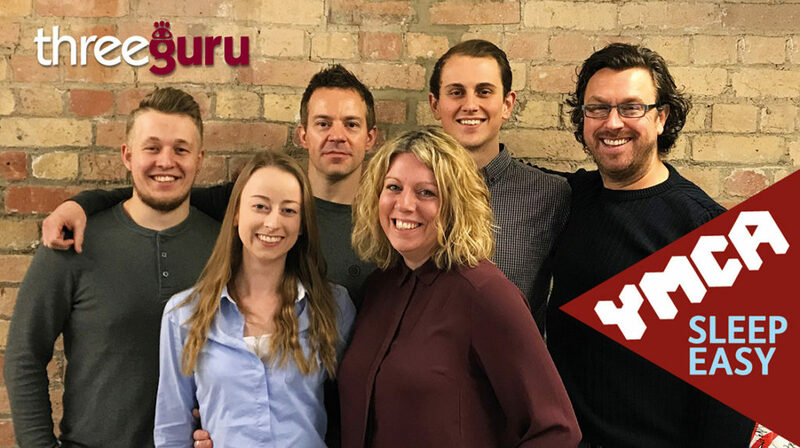 All the money threeguru will raise will go directly to YMCA Derbyshire projects, impacting their local community and helping disadvantaged young and vulnerable people in Derby and Derbyshire to build a future. The guru’s would appreciate any support you can offer whether that be through helping to share their story through social media and or being able to sponsor the threeguru team, truly every penny will help towards this amazing cause.